4 Kinds of Men: Which Kind Are You? “What kind of man are you?” It is a question that probably has entered the mind of every man alive. It is difficult to answer: Is there only one kind of man? Are there as many “kinds” of men as there are men? As pertains to character, I’d like to suggest, there are only four. A few years ago, I researched and developed a diagnostic whereby men could measure their words and deeds, and thus their integrity. 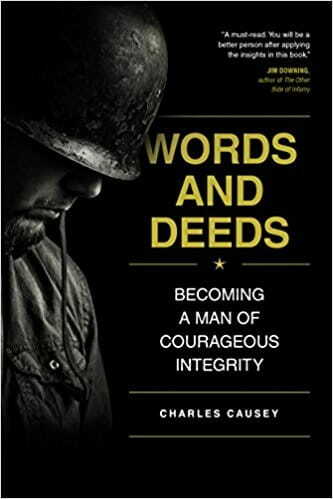 Once completed, the diagnostic (included in my new book Words and Deeds: Becoming a Man of Courageous Integrity) places men in one of four categories based on how they use their words and deeds to impact others. The following is a brief synopsis of each type. The type of man I call “the Sentry” is so named because, in the truest sense of the word, a sentry stands guard, immobile, with no words, quietly guarding his post. There are no words and no actions, except to guard the position assigned to him. Many men in our society function as Sentries, men who quietly guard something—something of value, perhaps only to them. It might be their peace of mind. They are not overly wordy or encouragers, and they are not proactive, nor do they typically hold many important accomplishments. Sentries are satisfied with the motto that life is easier if you just let it ride. We all know men who are Sentries. These are the guys who are not making any waves. We see them at church or work and they are cordial, but we never have the sense that they truly care about us or the current interaction. It is almost as if they cannot wait to get out of the building and go home to where they feel more comfortable. There are many good men who are Sentries. They hold steady jobs, live quiet lives, and stay committed to their families. However, there is something missing with a Sentry—he does not live his life with purpose. The type of man I call “the Salesman” is a man who makes good use of his words but does not have a proportionate amount of good deeds. This kind of man is called a Salesman not because to work in sales is to elevate words and neglect deeds; in fact, an important quality of a good salesman is the ability to listen to his customers and adequately respond to their needs and desires. However, salesmen are definitely known for being conversationalists. For the Salesman in this study, it is not his many good words that are the problem; it is his lack of action that creates frustration for others. A Salesman could be the man who agrees in conversation to help you with projects but then does not show up; or the man who repeatedly says that you should get together but then never responds to your texts; or the man who continually threatens to give management a piece of his mind, though he never follows through. Everyone has met men like this. This is the classic Salesman. The type of man I call “the Scout” has a life more focused on accomplishments than words. An actual scout is a soldier or spy sent ahead of the main force to gather information about the enemy’s position, strength, or movements. An essential attribute of a scout is that he is stealthy and does not attract a lot of attention. Scouts perform deeds and report back, and when executing a mission, they are expected to be quiet. People are often pleasantly surprised by a Scout because there is more to him than meets the eye. Scouts are men whose deeds outshine their words. Sometimes they are referred to as the “silent type,” but it is not mere introversion that defines a Scout; the Scout might be very comfortable in social settings and be energized by being with people. What sets him apart is that he is a man of action, of accomplishments, and sometimes of great skills. Scouts do not flaunt their deeds; often, they allow the deeds to speak for themselves. The downside for Scouts is that they do not allow their words to build bridges into others’ lives. The Salesman might be called a man of all words and no action; conversely, the Scout might have great deeds but miss opportunities to love and empower others with his words. The type of man I call “the Statesman” has his plentiful words and deeds aligned, making him a man of integrity and influence. In the strictest sense of the word, a statesman is an envoy or ambassador, someone who negotiates treaties on behalf of nations. Statesmen are leaders of leaders. In this study, the Statesman is a man who uses his words to magnify the effectiveness of his deeds. Sometimes we meet Statesmen at work, at church, or on the ball field. They are the men who have a good attitude whether they experience victory or defeat, and they encourage others to do their best. It is refreshing to speak to Statesmen because they ask good questions and are more interested in hearing others speak than in hearing themselves talk. A Statesman’s interest in others is contrasted by his disinterest in gaining any advantage from them. Others can sense his sincerity and know that he is disinclined to leverage the new relationship to his advantage—that the Statesman only wants to be a friend, with no strings attached. This sincerity is what is so refreshing about interacting with this type of man. Statesmen are primarily focused on other people; they build their lives upon the bedrock of selfless service. Their identities are fully formed, they know who they are, and they accept their position as sinners who receive grace. "Change is possible, and the first step is a decision." 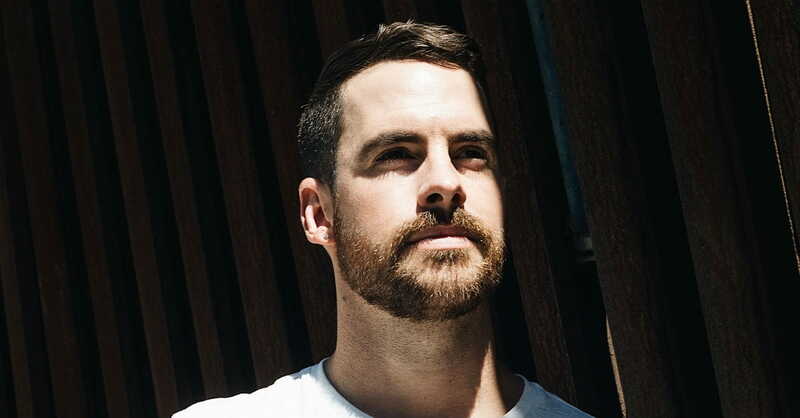 Sometimes our society seems awash with headlines about men with character flaws: men who have failed with their words or their deeds, or both. There seems to be a clear and present, nearly desperate need for men of integrity—for Statesmen. Your wife, children, friends, and neighbors will all benefit when you become a man of both words and deeds. It takes an honest look in the mirror and some God-given self-awareness to become a man who grows in this area. But change is possible, and the first step is a decision. Charles Causey is a recipient of the Bronze Star for his military service in Iraq. He is the author of several books, including Words and Deeds: Becoming a Man of Courageous Integrity and UnBreakable: Forging a Marriage of Contentment and Delight (with Tony Miltenberger). Formerly serving at the Pentagon as a senior army chaplain for the chief of chaplains, he is currently stationed at Fort Dix, New Jersey, as garrison chaplain. This article was adapted from Words and Deeds. Used with permission.